If you are in the mood to save money and welcome some new hardware into your life at the same time, then you have arrived at the right destination at exactly the right time. Today, we’re offering deals that are all about power delivery in a compact and portable fashion. Remember, if any of the deals below tickle your fancy or immediately pique your interest, make sure to act promptly to secure them at this price. Additionally, make note of the discount code with each deal in order to ensure that you lock in the biggest discount with each purchase. This deal is definitely going to be appealing for anyone who has found themselves in a position of being stranded because their vehicle has broken due or won’t start due to a battery being flat. 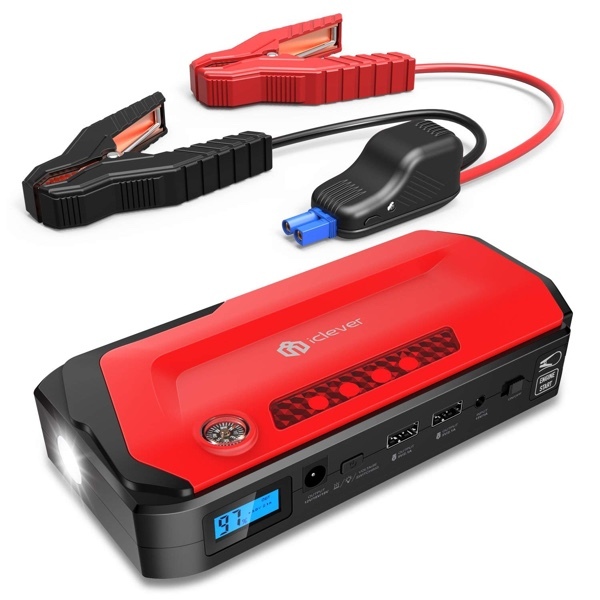 Rather than having to find another person with jump leads in the same place at the same time, this portable jumper is compact enough to fit in the glove compartment of a vehicle and is suitable for cars up to 6.5 liters for gas or 5.3 liters for diesel. 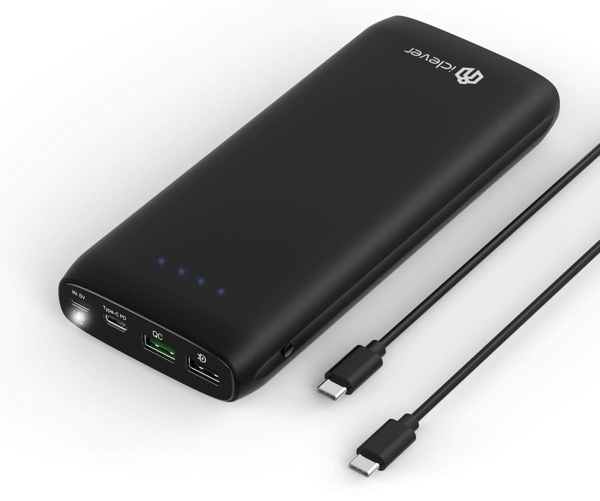 It offers protection and is even capable of charging two other devices simultaneously via USB. A must-have for any frequent driver or for those forgetful individuals who always leave their lights on and drain the battery. 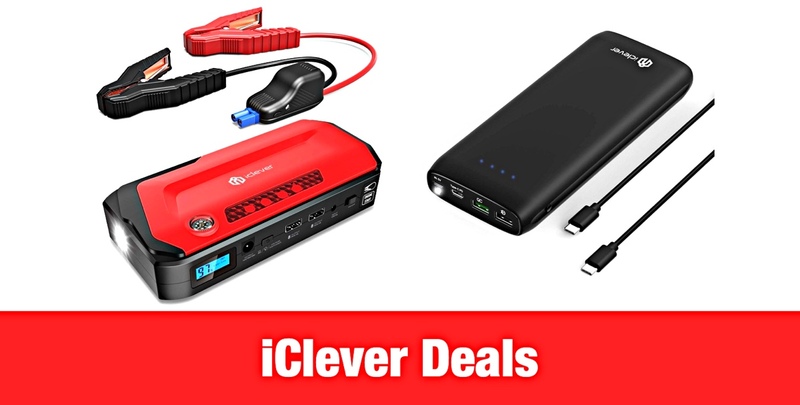 At the top-end price, this iClever USB-C portable power bank is probably going to be priced out of the market. However, with a 50-percent discount applied to it you find yourself with a very appealing and highly capable product that is going to deliver on its promises. It offers a whopping 21,000mAh of internal battery, which is enough to get most smartphones charged from 0% to 100% multiple times over. It offers Qualcomm-certified Quick Charge 3.0 technology to ensure that compatible devices are charged up to 4-times faster than usual. And it even comes with internal protection, such as surge and overheating. A great affordable option for those who need this type of hardware.